South United Football Club proudly announced the official permanent transfer of SUFC academy graduate Kabir Toufik to Chennai City FC. The 21-year-old was on loan at the I-League club before making it a permanent move this season. He made 5 starts for Chennai City FC in the 2017-18 I-League season. In his only appearance off the bench in the preceding season, Kabir came on as a 74th-minute substitute against Mohun Bagan and would go on to make a crucial penalty save 9 minutes later to keep his team in the tie and earn them a hard-fought point. Kabir’s potential as a goalkeeper became evident from an early age. 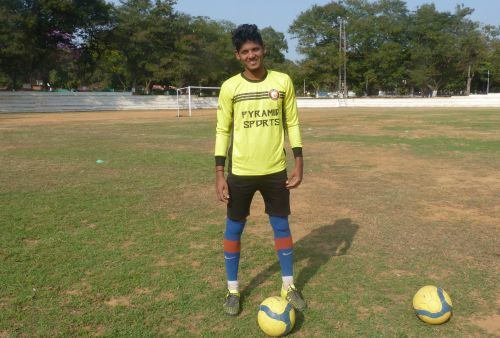 He was named “Best Goalkeeper” at multiple tournaments in 2015 including the 2015 Azad Trophy with the BDFA XI, the 2015 South India Inter State Invitation Football Tournament, and the 2014-15 BDFA Super Division with SUFC. He would go on to retain that title with SUFC in the 2015-16 BDFA Super Division and represent Karnataka in the Santhosh Trophy the same year. In July, earlier this year, he also made the list of 34 probables called up by Stephen Constantine for the SAFF Championships in Bangladesh. His journey at South United FC has seen the club invest significant work toward his growth and the interest from Chennai City FC in his skills has been a testament to the coaching staff at the SUFC academy.